The individual Swiss soldier served for a total of 500-600 days over the course of the War. All soldiers were mobilised at the start of the war, when there was the greatest fear of invasion. After that, only part of the army would have been on duty at any one time. 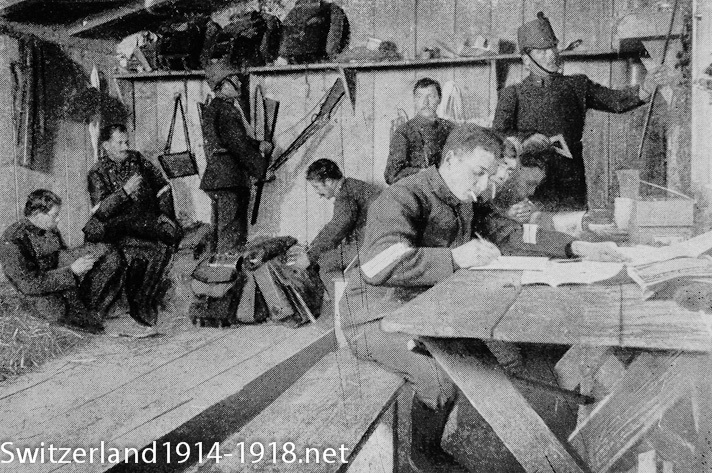 Soldiers in barracks near the frontier. Fortress troops inside their barracks. They perhaps have an air of boredom that suggests that they have been on duty for a long time? 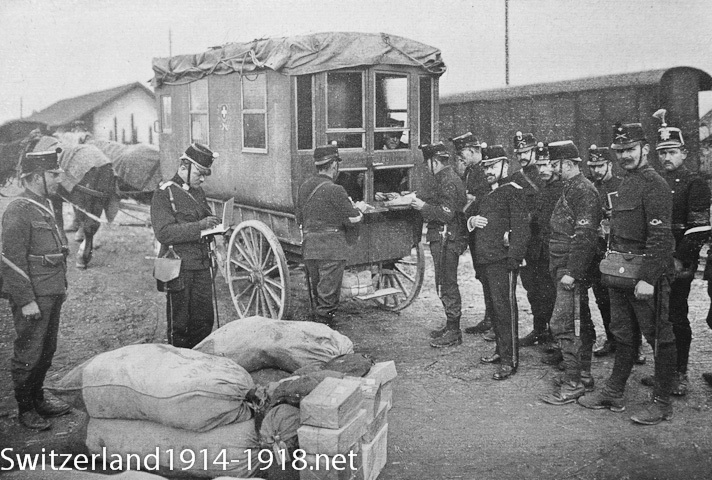 One of the army's mobile field post offices. 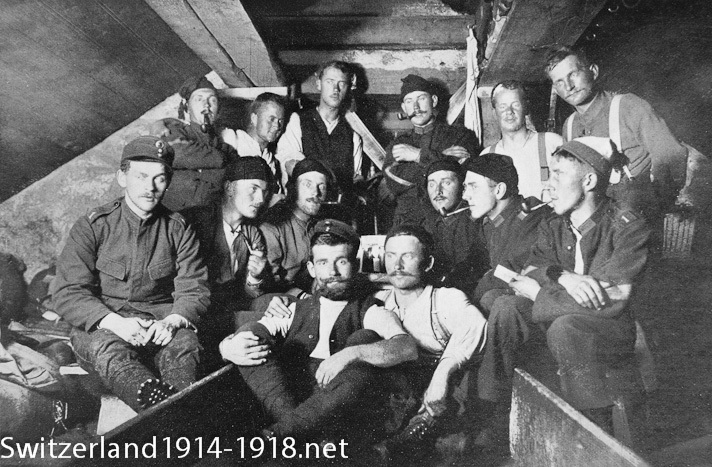 Swiss soldiers spent considerable amounts of time away from their families. Just as in the armies of the warring countries, keeping in touch with family and friends back home was important. 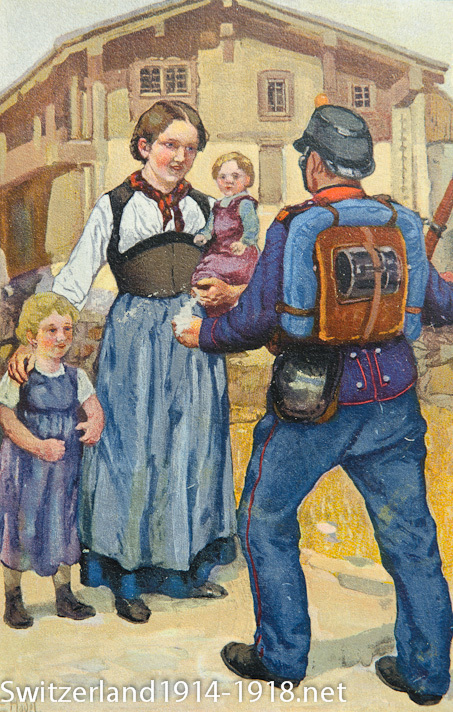 A wartime postcard showing a soldier returning home to his family after serving at the frontier. Click here to go to the next page on Swiss army uniforms.